Hello there all of you. The commands are specific to Oracle Database. To find all tables having a name beginning with EST and columns containing CALLREF anywhere in their names. Hope these commands are useful for you. So, After a long time back to my Blogs. Gone are the days when organizations heavily used to rely on the their traditional RDBMS for keeping a track of all their transactions and operations. Today is the age of more smarter RDBMS which are made from ground zero for a specific purpose.We will be talking about the OLAP databases in particular, which unconditionally are necessary for every organization playing with large data. OLAP databases help to derive the meaning of this large data for the organizations. OLAP databases play a major role when it comes to decision making times for organization. The OLAP databases are also called as the lifeline of Decision support systems. Have you ever thought of knowing statistics about your tables in oracle. Statistics in terms of Owner,Tablespace, Number of Rows, Number of Blocks used, Number of Blocks empty,etc. I was just trying to see what system tables does oracle has with it. some of these objects are tables and some of these objects are views. Java development kit for running the java based applications. applets and applications written in the Java language. passwordless ssh access to the nodes through your admin user of the Database. "PostgreSQL ODBC Connection from Windows to Linux" is my very first blog. Hope you all will find it useful. This blog will help you to create remote connections to PostgreSQL, as you all might know the PostgreSQL does not allow remote connections by default so it has to be configured accordingly. Please follow the steps mentioned below. Note: The below scenario we are trying to make a remote connection from Windows to the PostgreSQL server which is Linux based. I am a Data Warehousing Enthusiast. 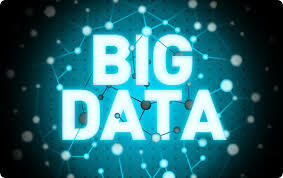 My passion is working on Big Data. I would rate my self as a Beginner in the Database and Data warehousing world with good years of Experience. I have worked with products like HP-Vertica, Greenplum, Postgresql, Oracle. I believe, I still need to learn a lot and I am always looking out for knowledge. With these blogs, I would like to share my experience with all.